Creating a setting for your story is easy, right? According to Taylor, a member of the Men with Pens team, in his article, "Special Fiction Writing Week: Creating a Setting," creating a setting is easier than creating a character. I agree. But, giving your setting authenticity and weaving it into the action through insights of your POV character requires special consideration. The setting helps make your character come alive. Mere description won't achieve this. According to the article, "Author's Craft--Narrative Elements: Setting," on the Universal Design for Learning website, "Setting is not just factual information, but an essential part of a story's mood and emotional input. Careful portrayal of setting can convey meaning through interaction with the characters and the plot." What is the mood of your story? Romantic? Mysterious? Humorous? Your opening needs to establish what type of story it is and stick with the mood throughout the book. Your reader will then be prepared to laugh, cry, seek adventure, etc., and will be emotionally engaged to continue reading. In her book, Writing for Children & Teenagers, Lee Wyndam writes "All story effects must be preplanned for that overall effect you want. Nothing can be left to chance, not even the weather." A Real Setting: The setting is in a place that can be found on a map, with the buildings, streets, stores, etc. intact. The time is close to the present. The best part is that nothing has to be made up. The tricky part is that you must be accurate. Taylor suggests picking a place you know well, especially if you've actually lived there awhile. A Setting Created from the Real World: The setting is made up but fashioned from the real world. A Bed & Breakfast is the setting for one of my stories, a place down the street from where I lived for five years. My first visit there actually gave me the idea for my book. After moving away I stayed there during a visit while working on my book in order to experience it. Yet despite the area's familiarity, I still researched the kinds of trees, plants, wildlife, weather, etc., to make the setting as accurate as possible. A Fantasy Setting: The creation of a make-believe world is not simply imagining how it looks and feels. It also needs to have a history. The danger with this type of setting is to be careful not to get lost in this new world you've created, but to stick to your plot and how your characters relate to their world. Utmost is creating a setting so vivid that your readers feel immersed in it. At the beginning of each chapter, provide brief information of the time and place to help ground your reader; use descriptive language, invoke the senses and any other sensations you can think of. Out at the bus stop, Jerry leaned against a telephone pole, body weary, echoing the assault of the football practices. For three days his body had absorbed punishment. But he was still on the roster, luckily. Idly, he watched the people in the Common across the street. He saw them every day. They were not part of the scenery like the Civil War Cannon and the World War Monuments, the flagpole. Hippies. Flower Children. Street People. Drifters. Drop-Outs.. . . [He] . . . sometimes envied their old clothes, their sloppiness, the way they didn't seem to give a damn about anything. Trinity was one of the last schools to retain a dress code--shirt and tie. He watched a cloud of smoke swirl around a girl in a floppy hat. Grass? He didn't know. A lot of things he didn't know. Goes to high school and is a football player. Is sore from three days of practice, implying that football season just started, a subtle way to place the story in early fall. Feels like a marginal player on the team, feeling lucky that he's still made the roster. Recognizes traits in the people he observes in the Common, contrasts them with people the war memorials there represent, but is impressed that these people don't have to follow a dress code like he does. But, he recognizes that he has a lot to learn. Where is it? At the bus stop near a park. When is it? After school. What is the weather like? Probably a warm day in the fall. What are the social conditions? Jerry wishes he could be as carefree as the "hippies" he observes lounging in the Common, but he has to wear a uniform to school. He's never smoked pot before. What is the landscape or environment like? His bus most likely picks him up from the center of town. What special details make the setting vivid? The names hippies, flower children, street people drifters, all conjure up a picture of what these people look like. The park holds war memorials, which show a well organized and thoughtful town. Pot smoking contrasts with Jerry, who seems straight-laced in his school uniform, and how different the street people are from the people who fought in the wars. At https://en.wikipedia.org/wiki/List_of_fictional_towns_and_villages there is a terrific list of fictional towns, villages and cities, separated by categories such as comics, films, television, etc. In a Children's Writer article by Veda Boyd Jones, Christopher Paul Curtis's Newbery Medal Award winner, Bud, Not Buddy, is mentioned because Jones uses this book as an example: "What makes a setting work is its full development." Jones also discusses the importance of the fictional name of a place, and points out author Vicki Grove's novel, The Starplace. "The place Grove created, Quiver, Oklahoma, is not real. The name, meant to be literal and ironic, is also a function of setting. Quiver is an Indian word and a description of some of the fear-ruled people in the town." A helpful article, "The Fundamental Elements of Setting," can be found at http://www.writersdigest.com/tip-of-the-day/discover-the-basic-elements-of-setting-in-a-story, by Courtney Carpenter. Setting can not only be a subtle way to bring out your character's personality and motives, it can also be challenging and fun to create. The part I enjoy the most is immersing myself in places I love even after I've left, and learning things about them that I didn't know while living or visiting there. Your love of "place" will shine through, too, and can be an effective way to make your character come alive. Sources: http://menwithpens.ca/fiction-writing-creating-a-setting; http://udleditions.cast.org/craft_elm_setting.html. Please note that the self-check idea came from this UDL article. Linda Wilson, a former elementary teacher and ICL graduate, has published over 40 articles for adults and children and six short stories for children. Recently she completed Joyce Sweeney's online fiction and picture book courses. She is currently working on several projects for children. Follow Linda on Facebook. Linda, what great tips on creating the setting for your story. The setting in my middle grade fantasy was an essential part of the story. It's set in 16th century China. It sets the whole tone for the character. And, now I'm ghostwriting a middle grade fantasy with King Arthur as one of the primary characters. Although both stories are fiction, I did and do a lot of research to make the settings as believable as possible. Thanks, Karen. Your books sound fascinating. Good for you for choosing such diverse settings. Please let us know when your books become available. I would like to read them. One of the first things my instructor for the great UCLA Writers' Workshop back in 1998 told us was that few writers--new or experienced--do enough with settings. Phyllis is now gone from this earth, but her writing skills live on among many! Thank you for reminding me of this glorious weekend of writing and associating with authors. How I love writers' conferences! Setting can actually be a "character"! Good post, thank you! Thank you, Carolyn and Heidi. And thanks for pointing out that setting can be a character. Good point! I like the idea of taking setting notes. Thanks Linda. You're welcome, Mary Jo. Just think of all the settings we can create from the places we go! A great article, Linda, filled with helpful tips for my novel's setting. Much appreciated. Thanks for writing, Barbara. I do hope the article helps. Best of luck with your novel! 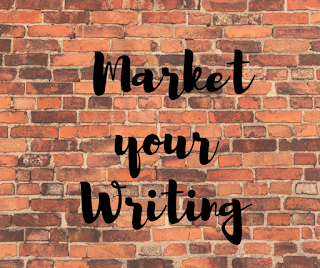 What Does It Take To Promote Your Writing?